Government attempts to cash in on the popularity of buy-to-let investments will not restrict the availability of good quality rental properties in Battersea and Brixton. Chancellor George Osborne’s move to increase stamp duty rates for buy-to-let investors comes into force on 1 April. On top of conveyancing, estate agent, mortgage valuation and surveyor fees – plus the cost of refurbishing and furnishing a buy-to-let investment – the factor most likely to take the biggest chunk out of any property purchaser’s budget is stamp duty land tax. This is the fee home purchasers must pay the government for changing the documents that specify who owns land or property. The rates vary depending on the property’s purchase price. Stamp duty is not payable on the first £125,000 of a property purchase price, but then rises to 2% on any part of a purchase price between £125,001 and £250,000, 5% on any part of a purchase price between £250,001 and £925,000, 10% on any part of a purchase price between £925,001 and £1.5m and 12% on any part of a purchase price over £1.5m. The average price of a Brixton home now stands at £507,818 – 12% up on values at the end of 2014. This means purchasers of property at this price must pay £15,390.90 stamp duty – an effective rate of 3.03%. In Battersea, the average price of a property is £757,555 after values rose 13.6% in the 12 months to the end of 2015. As a result, an average-priced Battersea home comes with a stamp duty bill of £27,878 or 3.68% of the sale price. This seems good value when compared with buyers of a £1,299,028 home – the average price of a residential property in central London. Their stamp duty bill would be £73,652.80, or 5.67% of the purchase price. But from 1 April stamp duty rates rise even higher for buy-to-let investors. In fact, anyone left with two or more properties in England, Wales and Northern Ireland after buying will be forced to pay an extra 3% in stamp duty on each band – including the previously exempt £0-£125,000 band. The change, which the government claims will make more homes available for owner-occupiers, will add thousands to buy-to-let property transactions. An investment property costing the Brixton average of £507,818, for example, will now come with a stamp duty bill of £30,624.69 – over £15,000 more than if the property was the purchaser’s only home. It gets worse for buy-to-let investors in Battersea. A second or third home costing the Battersea average of £750,000 in this rental hot spot will come with a stamp duty bill of £50,000. Supporters of the new stamp duty rates say they could deter overseas investors from using their property purchases in central London as a safe haven for their wealth. Anybody buying a second home for £1,299,028 – the average price of a property in central London – will face a stamp duty bill of £112,623. That figure is almost £39,000 higher than the stamp duty charge purchasers of a first home face. But the rise in stamp duty for buy-to-let investors will do little to affect demand for rental homes in Battersea or Brixton. Young professionals move to both Battersea and Brixton because of the excellent transport links found in both areas. This means the gross yields on property in the majority of SW postcodes are likely to continue to outperform the 4.9% a typical rental property in England and Wales achieved in 2015. It has been argued that landlords could look at investing in less expensive parts of England, Wales and Northern Ireland, where stamp duty costs are lower. For example, if landlords paid £200,000 for a buy-to-let property – the median price of homes listed for sale in the university city of Chester in north-west England last month – they would pay stamp duty of £1500 before 1 April (All Fool’s Day) and £7500 when the new rates come into force. But if property prices in Brixton and Battersea increase at the level they have over the past three or four years then this extra tax can be clawed back by the rise in a rental property’s value in less than 12 months. 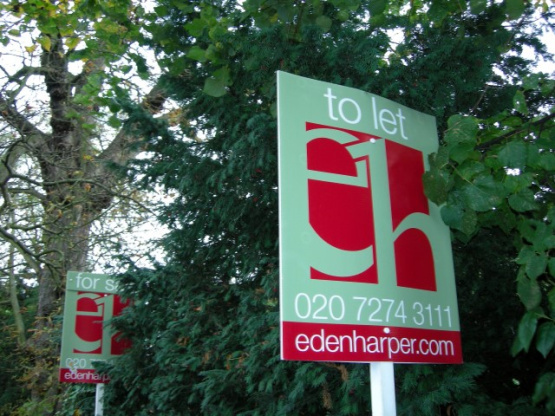 If you require an up to date valuation of your property, contact Eden Harper today. Our team of valuation specialists will be happy to give you a sale or rental value of your property.